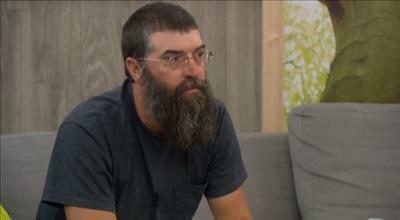 It has been a fun 24 hours in the Big Brother 2014 house and we have Nicole and Donny to thank for that. They won HoH on Thursday night and put a little twist in the game. The Battle of the Block on Big Brother 16 was a big one this week, as no one truly knew who the winners would be and no one was throwing the competition. They all wanted the victory, but who pulled it out? Check out the winners and who the lone HoH for Week 6 is below in our Big Brother 2014 spoilers! Sad to see Donny is no longer HoH, but hopefully Nicole keeps it together. Things have been wild and we could see Frankie go up as the renom for a backdoor, but it all matters how the Power of Veto goes. We find that information out tomorrow! Also, there were punishments and it looks like Caleb will be shaving his head and on slop for maybe two weeks! Sounds like they had to do some wild things. Caleb has to shave his head and walk around with Victoria in an Adam and Eve costume. Someone (not sure who) has to take a manure bath?? Frankie is on slop. Not sure what other penalties were given out. A manure bath? That is sooo grouse 🙁 YUK!!! I think I’d rather be on slop! Lets hope it’s not a cue for him to create another obsession. Between those two who knows who might become obsessed……..
LOL…it was from Jerry McGuire. Your’re right….in one ear and out the others. Might take a few minutes because of all the rocks it has to go around. Thanks–yes, I sorta thought it was that movie but wasn’t sure. All I know is, for me, it is one of the most gag-inducing lines to ever come out of Hollyweird. Oh and I love the picture of those rocks! I’m with you on that one! Especially at the beginning of the month when I have to start paying bills. I don’t know why I have to do this again–I just paid them last month! Too funny Tessa 🙂 I just looked it up and Cat is right on and it was with Tom Cruise and Renee Zellweger. I think it is one of those movies that came on TV that I sort of watched in bits and pieces–I am not a fan of Tom Cruise. It actually made a lot of money in the theaters. SOMEBODY must have liked it. I bet Caleb liked it….it was romantic (supposedly). And we all know what a romantic cowboy he is (sarcasm). I’m expecting my typing fingers to fall off after typing that. Yes, it did make lots of money but ole Tom’s box-office power seems to have dropped off considerably. You just wait, Caleb is going to say “You complete me” to someone before he leaves that house. Thanks for the warning. My barf bag is on high alert. Wouldn’t surprise me at all with that guy. Oh, I don’t think he would do that, Mary. He certainly did impress me as a guy who would be a one-woman man when he truly, deeply fell in love. And if you believe that, would you like to look at my Oceanside property in Oklahoma? LOL!! Yep, I think you nailed it. Actually I have never been to Oklahoma but have a couple of good friends who are originally from Oklahoma City. Let’s hope it isn’t poor Nicole–I think all those “tards” she has had to wear should be enough punishment for a while. Poor girl–I actually am beginning to feel sorry for her–that is cruel and unusual punishment. I actually feel bad for Victoria. I’d rather take a bath in manure. She will be…..only without the bath tub. Cat, did you have some funny juice today? Sooo funny! It’s catnip Mary! Somebody slipped her some catnip. I would never ask that–you might turn around and ask me and I have reached the age where I stumble over saying the number. I should be grateful, though, cause lots of my friends are no longer with us. I have always heard that inside we all still feel like we’re 18–it’s just that the chassis is kind of dinged and scratched and faded…..ooohh, that sounds depressing. Ohhh! My cats used to go crazy over that stuff. LOL you guys are cracking me up! I’m pretty sure he was either kidding or lying. For anyone that is interested….Caleb said he didn’t want to shave his head because he had a tattoo that was derogatory to some other culture tattooed on his head. I’m thinking it’s a “bald” faced lie. But if i hear anything different Tommy i will let you know. Too bad Donny didn’t have to shave his beard off, a little Man candy for us all. He might be like Samson and lose his strength. His beard contains an antidote to Derrick dust. I think that is strange that Caleb’s head will be shaved when Donny really wanted to shave his face. Yeah, those pictures of him with a shorter beard make him look like a whole different person….but much better looking with it shorter. Oh no, what if Frankie wants to get in with him! Frankie could sing that song, “roll me over, in the clover (manure), lay me down, and do it again” tee-hee! Oh my–I haven’t heard hat little ditty since undergraduate days–I think it was about a century ago! Thanks for the memories. They may be the ONLY showmance. Caleb and Ambers was nonexistent. Hayden and Nicoles is having a hard time (no pun intended) getting off the ground and Victoria has one with …..Victoria. So it doesn’t count. There she goes again, that’s hilarious Cat!!! OMG – Jocastas sneeze sounds like a hyper Minnie Mouse!! I’d never heard it before. That would scare the he*l out of me if i heard that in the middle of the night..yikes! I can’t say anything, my sneeze is pretty loud too. I’m such a delicate flower NOT! It’s not so much loud as it is SQUEAKY! Victoria is on slop for 2 weeks. I’m taking bets on how long it will take her to go on a crying jag. I’m guessing by midnight tonight. Or sooner if someone offers her a cookie. They want to backdoor Frankie. Putting either him or Derrick directly on the block gives them too much time to sway the votes. Thanks to the DE coming this week, they may not have time to do anything more than sashay across the room. Amber did some interviews today. She says she is now glad she didn’t make jury because she wouldn’t want to be in the jury house with Caleb. She lost….yet won. I agree…she did actually win! I can’t wait for some of the HG’s to watch the show back and see that she was loyal to the “bomb squad” and was telling the truth!! Caleb is going to ball like a baby!! And, who could blame her for wanting the girls to stick together, the boys are doing it!! After all fair is fair. Ha! Just realized we will have a “king” and a “princess” handcuffed together. Wearing Adam and Eve costumes no less. Lets just hope the fig leafs don’t fall off. Yes, and if they do, let’s hope it doesn’t happen right on camera when we’re all watching. I really don’t want to see that. Pray for a calm, UNwindy 48 hrs. Maybe I need to keep a barf bag close by!!! Lol!! I’d live to see Victoria have one of her melt downs and go in a crying binge while handcuffed to Caleb!! It would drive him crazy!! Oh, just thought about this. Caleb won’t be able to have planning sessions with the guys while handcuffed to Victoria! I’m loving the payback this week and I’m sure Amber must be also!! The “Detonators” are going to be scrambling like crazy!!! would like to see donny win pov and take jocasta off. I have no doubt he would do that. She’s a floater but in his alliance which he needs. I would join you but I’m afraid I would cause too much nausea! The only way you would cause nausea is if you brought slop as a half-time snack…..or pickles. What happened to that pickle inside a banana that he was going to eat for his queen as she was leaving? Lots of big talk, very little action. Before she left he slipped it into her suitcase – to be found at a later date. Maybe i shouldn’t use the word “date”. Sorry, but watching Caleb strut around in his Adam costume with that stupid crown on his head (which doesn’t fit now that he has less hair) makes me want to call him something that would get me moderated. But it starts with a D and ends with an ick. Hmmm, starts with a D and ends with an ick…gee what could it be? Ohhh no, a shower mishap, how horrible! Just please don’t tell me he dropped the soap and had to bend way down to pick it up. Oh grouse!!! I’m still laughing! !… Cat you are hilarious and clever! Every time I go to the live feeds, they are all just sitting around doing nothing or eating. Honestly, I’ve never watched BB when I couldn’t tell the true alliances!! Everyone is aligned with everyone! And they’re so good at sounding sincere when they lie to each other (Derrick, Cody, Zach, Frankie, Nicole, Christine, even Hayden). Do THEY even know which ones they are loyal to if they had to choose in an instant?? A couple of weeks ago – remember, Cat – we agreed the only real alliance that was 90% certain was Christine and Nicole. Even that one isn’t valid anymore! Oh, here’s a new one as I type: The Quad Squad! Lilly,,, who are the members? Sorry, Joyce, been busy this Saturday morning! The Quad Squad is: Nicole, Derrick, Cody & Hayden. That’s why they confuse me (although admittedly i’m easily confused). Maybe – just maybe mind you – Hayden and Nicole will stick together. Is it possible? no bad words, my iPad out of date? How did Victoria and Caleb survive the night together? Well, at least Donnie won’t be vulnerable next week. Also he can compete for HOH the following week. As for Cody, he should have backed doored Caleb when he had the chance.